Allows Lateral Trunk Supports to be swung out of the way completely to accommodate a side transfer or a stand and pivot transfer. The Swing Away option is available for Lateral Trunk Supports. Typically used to effect a lateral transfer, the bracket swings the lateral pad 180 degrees out of position from its functional position to allow for an unencumbered lateral transfer. 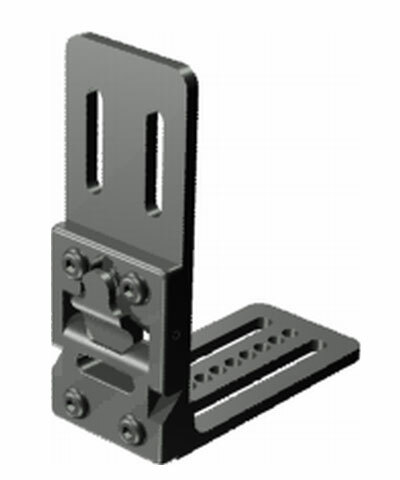 Swing Away brackets also allow for the use of a contoured pad when necessary. A contoured pad must be swung away for either a front transfer or a lateral transfer.